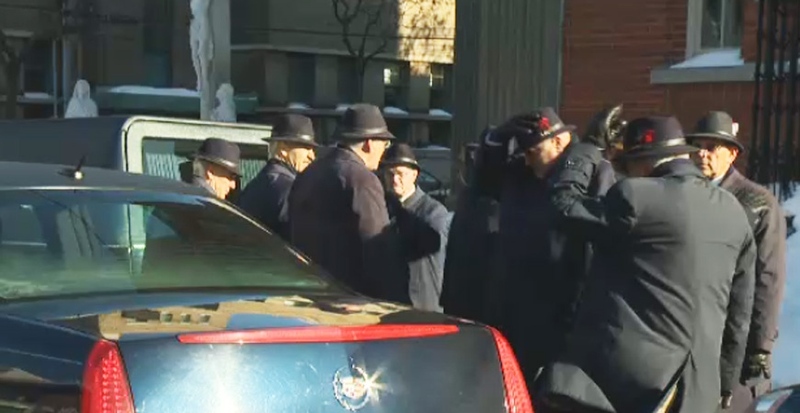 MONTREAL --Hundreds of mourners came to pay their final respects to Mafia don Vito Rizzuto in Little Italy on a cold, sunny Monday afternoon at the Notre-Dame-de-la-Defense Church, the same venue where his father and son’s funeral services were held in 2010. 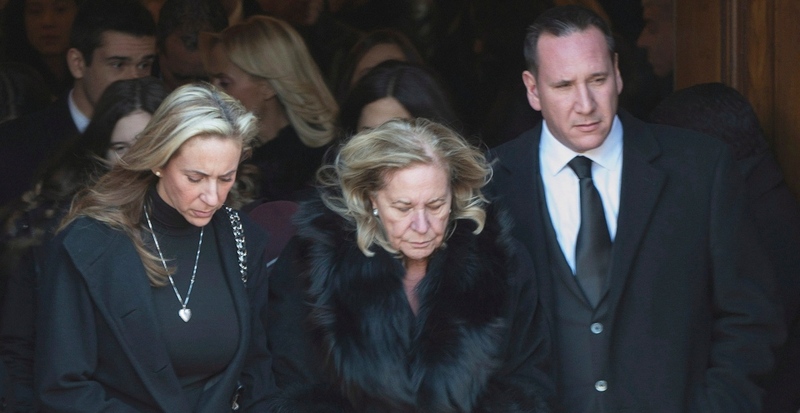 Church bells pealed over Dante St., but then went silent, as a large crowd of mourners, media and photographers watched Rizzuto’s bronze casket transported into the church from a black hearse, accompanied by Rizzuto's son and daughter - both lawyers - as well as his wife and mother. The service started at about 1:30 p.m. and lasted about one hour and was attended by a full house of mourners in the church, which has a capacity of about 800 seats. 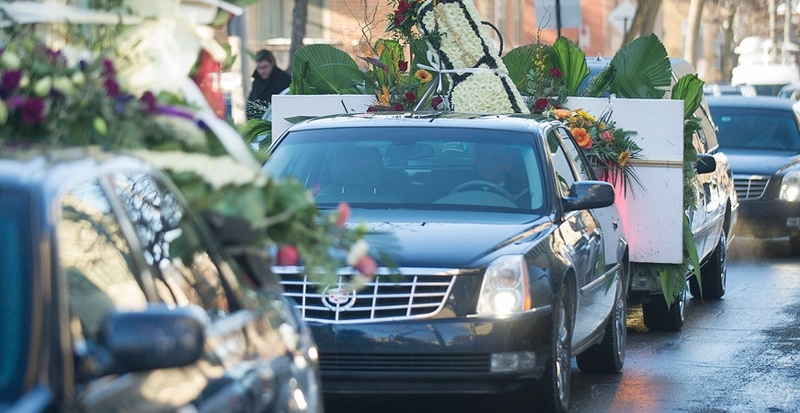 Elaborate flower arrangements, including one in the shape of a golf bag -- a nod to one of Rizzuto's favourite pastimes -- were tied to the bumpers of the many black vehicles who rolled up for the occasion. Rizzuto, who led a powerful criminal organization that stretched beyond Canada's borders, died of natural causes - believed to stem from lung cancer - in hospital last Monday at age 67. No autopsy was performed on Rizzuto's body, as the coroner deemed it unecessary under the circumstances. 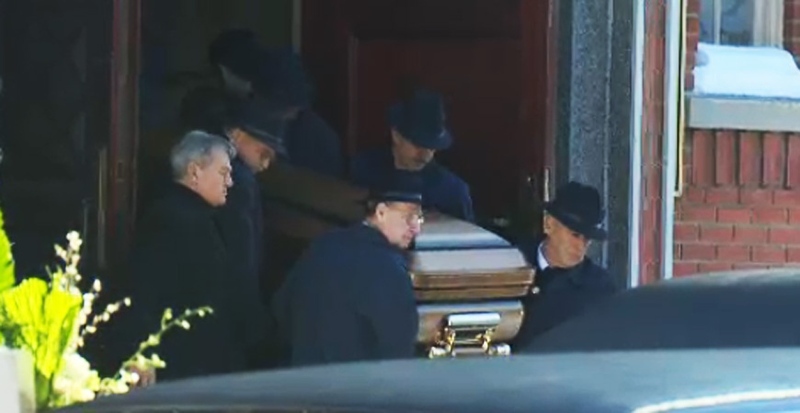 Igino Incantalupo, the priest who oversaw the ceremony, described the funeral as "simple" and described those in attendance as calm and serious. Traditionally such events are not just a time for mourning but also an opportunity for police and underworld observers to note the appearance of other active crime figures. Not all of those trying to enter the church were allowed in, as visitors were screened by organizers asked if they were part of the family. Flavio Codarin used to wait tables for Rizzuto at a neighbourhood cafe. He said the crime boss was always quick to say hello and had a big smile. "He was very kind to me," Codarin recalled. "He would say, 'Watch that no one puts poison in (my food).' So he was dependent on me," he said with a loud laugh. Some of those in attendance said that they had no connection with the family but came out nonetheless. Another said that she regularly attends high-profile funerals. “I was here when it was the Cotronis and I come when it’s a celebrity. When it was his son and his father, I was here. 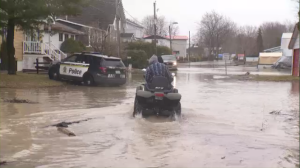 I also like to come around the neighbourhood when it’s Italian Week, or to visit the good Italian restaurants,” another woman told CTV Montreal. 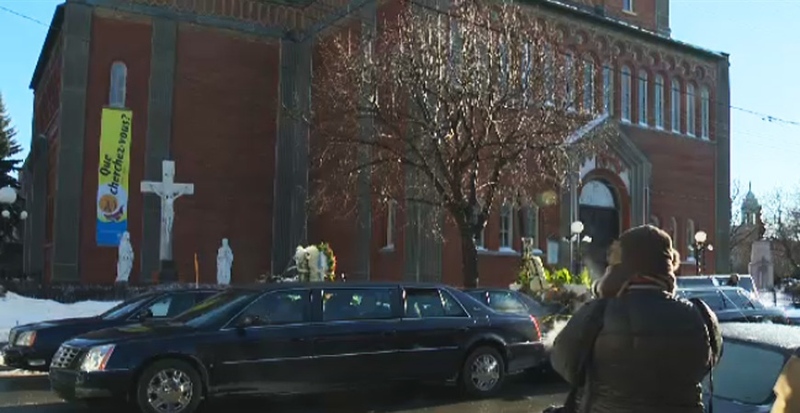 On Sunday, a much-smaller visitation for Rizzuto took place at the Loreto Funeral Complex, which is owned by members of the Rizzuto family. Mafia expert Pierre de Champlain said that such visitations can be an especially valuable place to gather intelligence because they are more informal and often attract more people with ties to the underworld than the funerals themselves. Author Antonio Nicaso, another keen observer of Rizzuto's life and times, said that many crime figures now shun funerals and only attend the visitation because they are wary of being photographed and identified by police at such high-profile events. “Mobsters or representatives of criminal organizations usually try to avoid funerals and use the visitation time because they are well aware that the police keep a close eye on funerals of this kind,” he said. 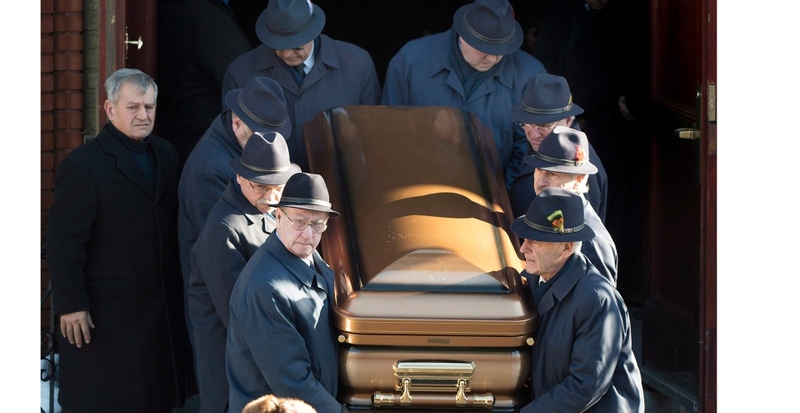 According to one retired RCMP analyst, police often use funerals and visitations -- along with weddings and baptisms -- as an opportunity to update photos of persons of interest and establish any new allegiances within the Mafia. Others may choose to steer clear of the event, sending flowers or a note instead, he said. Rizzuto returned to Canada in 2012 after spending six years in a U.S. prison on a racketeering charge. Experts say that he quickly took back control of his organization following a period of turmoil for the family during which both his father, son and associates were killed. 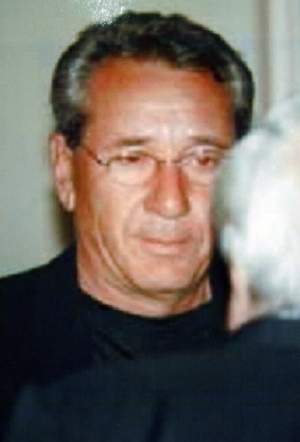 Rizzuto was unable to attend his father and son's funerals in 2010, as he was in Colorado at the time. Crime observers have noted that the spate of high-profile underworld killings that followed his return were likely related to a campaign to avenge the murders of his son and father. Many now wonder what is next, as the throne sits empty and a new murderous era could descend upon the city as various factions could wrestle for control of the highly-lucrative activities. De Champlain said it appears there's no clear successor within the Rizzuto family and his death could lead to a tumultuous period in the criminal underworld. "If that's the case, we can expect a difficult period for the next months in the Montreal Mafia," he said. In the coming days, de Champlain said crime leaders from Montreal, Toronto, New York and beyond will likely meet to discuss how Rizzuto's turf will be run. "If there is violence, it means that there's turbulence behind the scenes, and the new leader doesn't have control." Author James Dubro said the situation in Montreal is unique these days, with many key players in the mob either dead or in jail and surviving mobsters afraid to be seen in a public. “And on top of all that, the two surviving children of Vito Rizzuto are both lawyers and they crave respectability, and I don’t think they want a lot of gangsters” in their lives, he said.